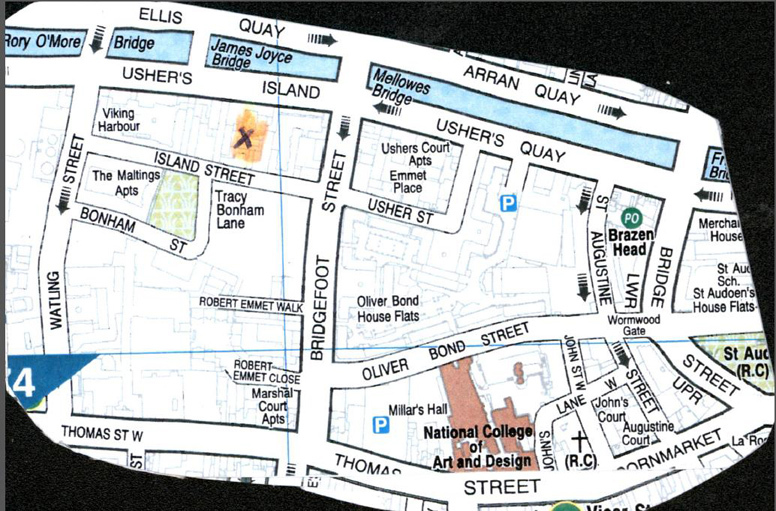 “Oh yeah, you mean down there somewhere back of the quays” – A Dublin friend’s eventual recognition response. 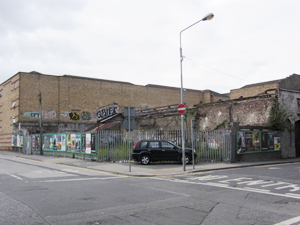 The north Liberties area around ‘Heuston’s Fort’ is a classic urban example of historic cultural wealth blighted by dereliction and social deprivation. But while its limbs are being torn off, its heart beats on. The area is crying out for a framework through which to reclaim its memory, its identity and its pride as a basis for renewing itself as the kind of urban community and environment this Republic should be boasting of in its centennial, but isn’t. 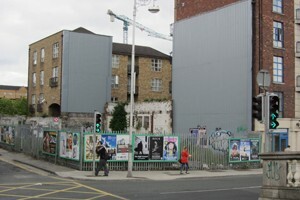 The area is rich in architectural, nameplace and story heritage, steadily being lost and forgotten in the wake of both dereliction and anonymous, soulless development. The first westward expansion of medieval Dublin in the 16th and 17th centuries was beyond the old gates and city walls at today’s Bridge Street where the Brazen Head pub stands, along the Liffey and Thomas Street towards James’s Gate. For hundreds of years it was vibrant and thriving as a residential, manufacturing and trading area playing a significant role in key events of Irish history. The Centenary offers a perfect opportunity to revive the memories, to make art of them, to reclaim civic identity, cultural cohesion and hope; to make real the vision of the signatories of the Proclamation. it is the right time and place to dream new possibilities again. Local historians, conservationists and others have already identified the many buildings, locations and artifacts that have architectural or historic significance and potential (a number of these remain to be added to DCC’s Record of Protected Structures.). An inventory has been taken of every location in the area with the potential for creative transformation/ presentation, both temporary and permanent. The people of the area are a numerous untapped resource who will be the first to be approached about engaging with their history and environment as a creative resource, and invited to work with experienced artists and facilitators in exploring their past and re-imagining their future.